Hotel Leela had moved the division bench challenging the single judge's July 15, 2016 verdict setting aside the arbitration award in favour of Leela Venture in 2012. The court held there was no infirmity in the HC order and the appeal filed by Hotel Leela lacked merit. 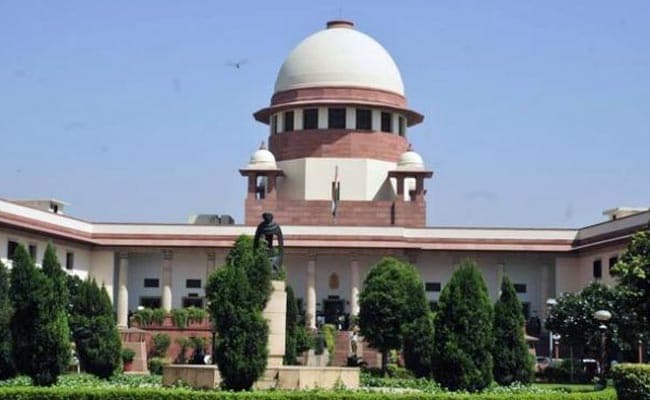 New Delhi: The Supreme Court today dismissed an appeal by Hotel Leela Venture Ltd and asked it to pay Rs 258 crore to the Airports Authority of India (AAI) as royalty for possession of its property near Mumbai International Airport. A bench comprising Justices R F Nariman and Navin Sinha junked the appeal filed by Hotel Leela challenging an order of the division bench of the Delhi High Court. The court held that there was no infirmity in the High Court order and the appeal filed by Hotel Leela Venture lacked merit. "The special leave petition is dismissed. Pending applications, if any, shall stand disposed of," the bench said. The High Court had in November 2016 upheld its single judge's decision asking Hotel Leela Venture Ltd to pay Rs 258 crore to the AAI as royalty. The arbitration award had declared that payment of royalty by Leela had become impossible and therefore the parties may enter into a new contract in relation to possession of the property. The arbitrator had discharged Leela from liability of paying the royalty. While dismissing Leela's plea, the division bench had said, "The award is perverse and is liable to be set aside". AAI, which owned 29,000 square metre of land near Mumbai Airport, had leased two parcels measuring 9,000 sq mt each to Leela Scottish Lace Ltd and Leela Venture Limited. The remaining 11,000 sq mt was initially given on a license to Leela. The dispute relates to the 11,000 sq mt of land, which was leased to Leela in February 1996 for a period of 30 years for adding a wing of 150 rooms to the existing hotel.